The Dave Matthews Band have not released a studio album in almost six years, dating back to 2012's Away From the World but, this summer, there will finally be new music. 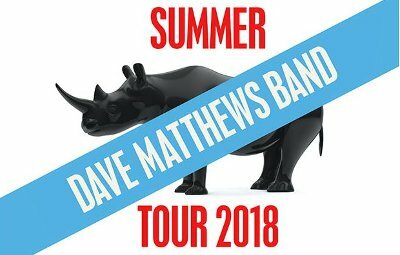 Also on tap is a summer tour, their first since 2016. Nothing has been revealed about the album other than "the band is currently putting the finishing touches on the album, which will mark its ninth studio release" but the tour starts on mid-May, so there is some hope that the album will be out before the first date. A little more firm is the summer tour which opens May 18 in The Woodlands, TX and runs through September 10 at the Hollywood Bowl. Tickets for members of the DMB Warehouse are already available with general sales beginning on February 2 at 10 AM local time. All tickets purchased through May 17 will receive a copy of the new album, when released.